Get Hype with us every Thursday! We'll do y'all right with all the Reggaeton, Salsa, Cumbia, & Hip Hop JAMS. 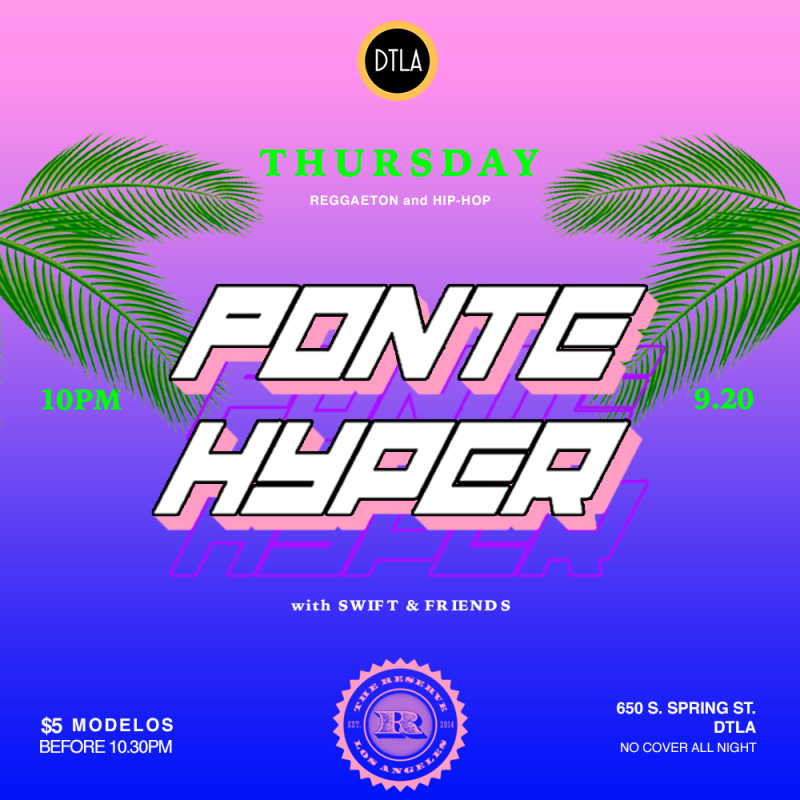 It's #PonteHyper & its this Thursday from 10 PM - 2 AM; 21+. JUST PULL UP!